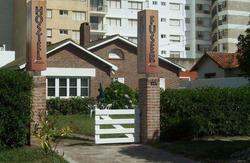 Aventurerio Hostel Miramar is located in the best area of Miramar at 2 blocks from the beach and one from the 9 de Julio Street. Offer privates and dorm with lockers, Internet WIFI, TV cable, linen. In the outside you have a barbecue place and a solarium.